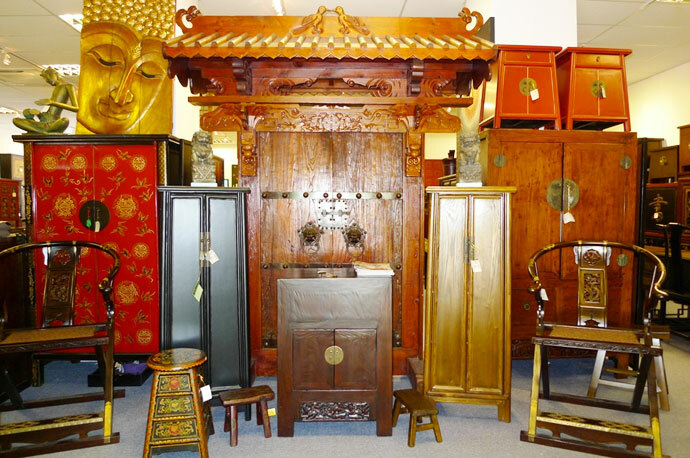 Woody Antique House offers antique furniture from China, Myanmar, Mongolia, India, and Tibet. Some of the items you’d be able to find in their store includes – Chinese antiques and reproductions, Indian antiquities, Burmese teak wood furniture, synthetic wicker furniture, resort-style Hyacinth furniture, and more. Woody Antique House was established in 2000, the business aims to provide customers with good quality antique furniture at affordable prices. The store has a wide variety of furniture and antiquities that will help you achieve an Asian style and aesthetic for your living space. Woody Antique House groups their furniture into 2 categories – 1) indoor and 2) outdoor. In the ‘indoor’ category, you’d find a comprehensive range of furniture that includes – 1) sofas, 2) coffee tables, 3) chests, 4) desks, 5) cabinets, 6) dining tables and chairs, 7) bar counters, 8) beds, 9) benches and stools, and many more. You’d also find decorative items for your home such as – 1) screens and panels, 2) lamps, 3) vases, and 4) statues, etc. 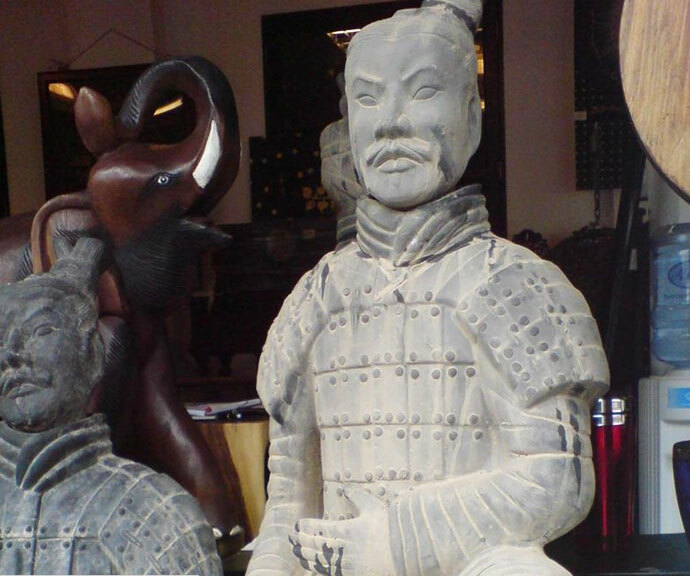 The store also sells novel items like gongs, drums, and Terracotta warriors. In their ‘outdoor’ category, you’d find furniture made of teak wood or wicker. Their teak wood furniture consists of tables, chairs, benches, loungers, swings, etc. Their wicker range of furniture comprises of sofas, chairs, dining sets, daybeds, and more. In addition to selling furniture, Woody Antique House also provides furniture customisation services; they are able to help you create a unique piece of elm wood or teak wood furniture, according to your specifications. Woody Antique House receives a new shipment of items every month, customers will always be able to find something ‘new’ and novel. Some of the noteworthy items you should look at include their Mongolian and Tibetan sideboards, solid suar wood stools, Burmese teak wood daybeds and swings.